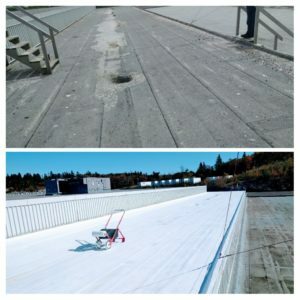 Commercial Roofing Contractors Nova Scotia | Sterling Roofing Group Ltd.
What are the advantages of a roof recovery service? 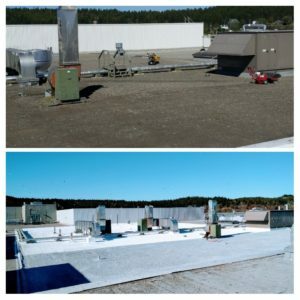 Typical commercial roofing systems last 15-20 years. 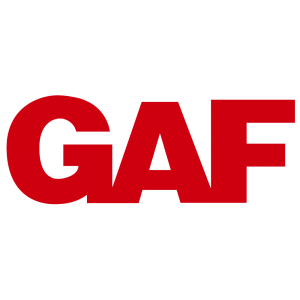 Our liquid membranes are made of excellent materials, most notably silicone, which add more years to your roofing’s life. 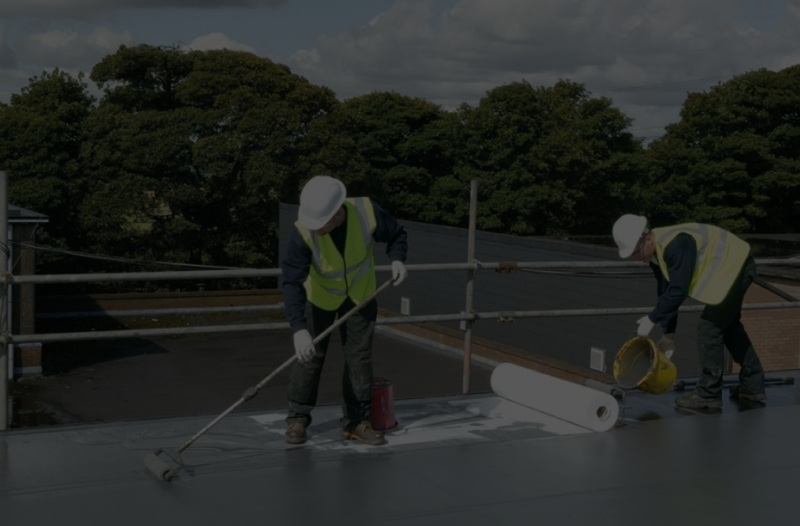 In fact, 15 years after the liquid membrane has been installed, we can simply reapply it so you wouldn’t have to undergo a roof tear-off. 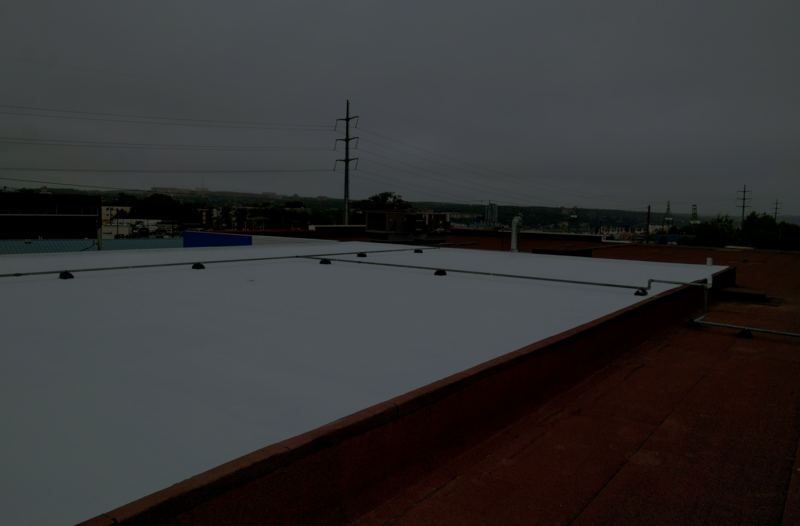 Our roof liquid membranes are capable of fixing problems caused by long-term exposure to ponding water. Hours after as the protective liquid membrane has been installed, your roof then becomes impenetrable to water. Now, you can say goodbye to leaks, mold issues, and structural damage. Are you experiencing warmer summers? 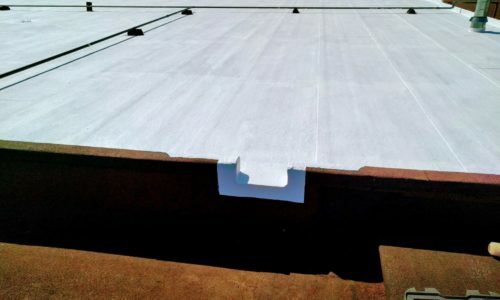 High-quality roof liquid roof membranes will improve the thermal performance of your roofing system. 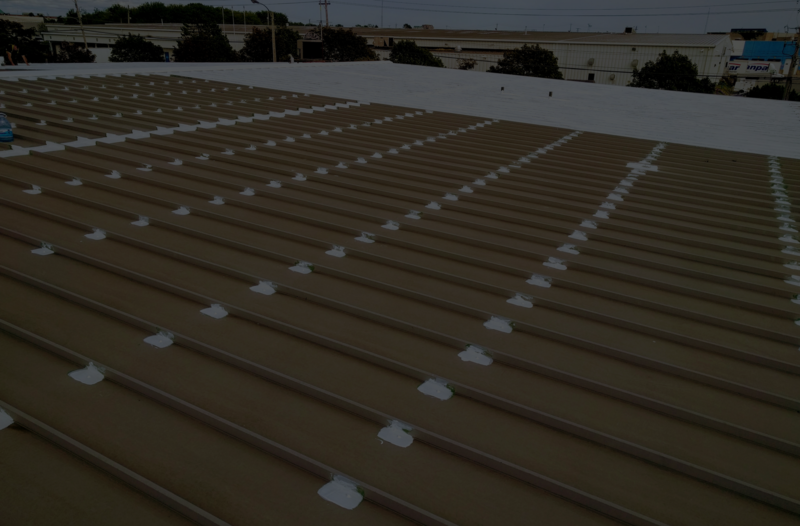 Our roof liquid membranes are reflective so that they prevent heat from penetrating your building. Because your roof now becomes energy-efficient, you’ll be able to save on your utility bills. 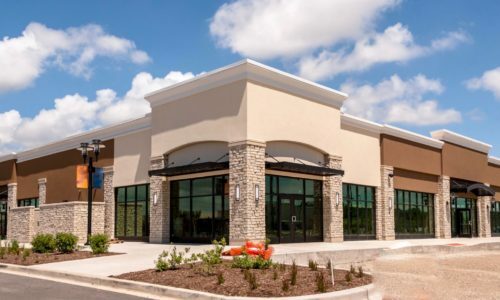 Most of all, your tenants and employees can work more productively in a cooler environment. 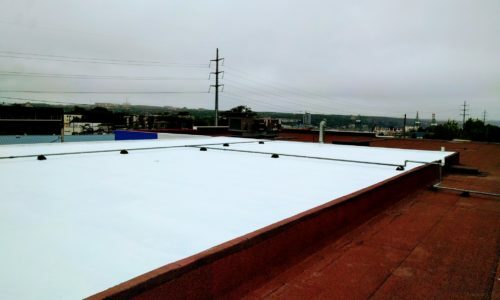 Our Preferred Liquid Roof Membranes. Click To Learn More. Invest in a roofing recovery service and enjoy a smooth sailing business.